I’ve reviewed several products over the past year. My original opinions have changed for some of these and I wanted to update readers with what I’ve discovered. 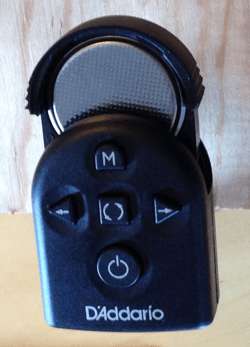 I reviewed the D’Addario TS Micro Tuner and thought it was a wonderful, unobtrusive chromatic tuner that attached to the headstock of many instruments including ukuleles, guitars and mandolins. If you read the comments for that article you’ll discover several users are having problems with the battery life. Me too. I purchased a two-pack of tuners and the battery runs dead on both in about a month. This is unacceptable. I have the older TS Mini Tuner which is slightly larger. It is over two years old and still works fine on the original battery. There is a flaw in the design causing many users to have this battery problem. I recommend you do NOT purchase the TS Micro Tuner. 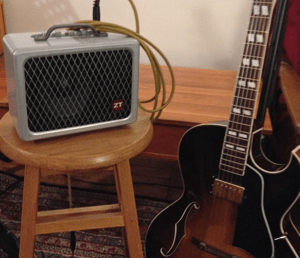 I purchased at ZT Lunchbox guitar amp. It sounded great at first. But it has developed a harsh sound when certain notes are played. I am extremely unhappy with this development. The sound reminds me of an old Silvertone amp I had in high school which had a blown/torn speaker cone. Not a pretty sound at all. I have a return authorization from ZT amps so I can send the amp back to them but haven’t sent the amp yet because I can’t find a suitable box and packing material. I had been prepared to ship it off a few weeks ago when the box I had tried packing it in broke before I could ship it. ZT has been very friendly and helpful in our exchanged emails and I should allow them a chance to fix this. Still, it is unexpected that this should happen. I don’t play hard or loud so something else happened. I put ZT products on a cautionary concern list – but they still may be OK. Finally, my new Eastman AR371ce guitar is still WONDERFULL!!! I’m not sure if I’ve ever loved any of my other guitars this much. Maybe my Martin OM-28 comes close. I’m quite sure I would not be happier with a Gibson ES-175, not even one of the Memphis Historic Re-Issue models with the thinner laminated top. I highly recommend the AR371ce and imagine that any of their instruments would be a good purchase.